Get active at Mount Sheridan Plaza! Meet just inside the Western Entrance (Coles End) at 7:15am on Tuesday and Thursday mornings. Walk safely in air conditioned comfort out of the sun. You’ll not only get fit, it provides a great environment to meet friends and catch up! Providing an amazing opportunity to be an active member of the community. Walkers of all ages are welcome. 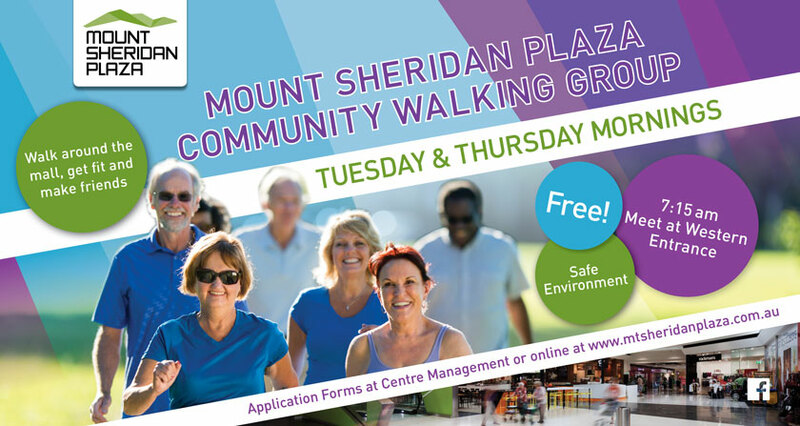 There are no fees – The MSP Walking Group is free of charge to all Mount Sheridan Plaza customers. You will also receive special discounts within the mall. Join in by dropping into the Centre Management Office or fill out the form and we will contact you.